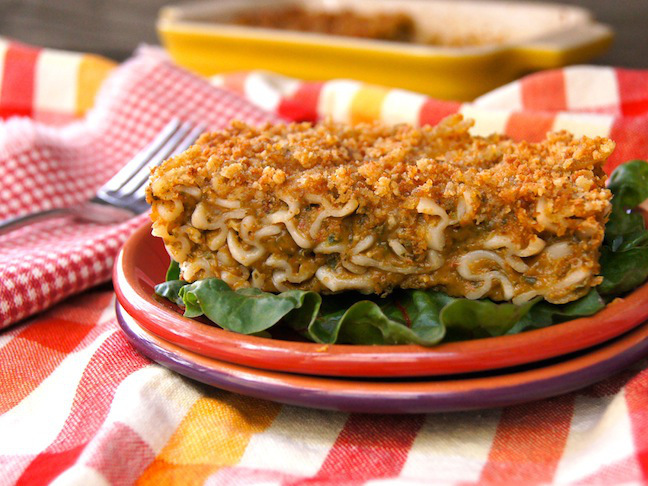 If my two picky eaters like this dish, I’m pretty sure yours will too. 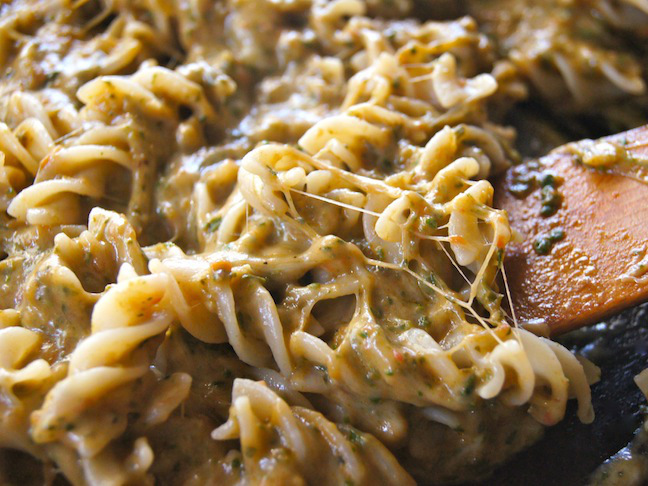 Deliciously creamy and cheesy, this dish is a comfort food all the way around. The spinach and chard are just an added bonus. This recipe is not about hiding the veggies, it’s simply about making them a bit more kid-friendly, which ultimately makes them the star of the dish for your kids! Step 1: Preheat the oven to 375 degrees F and adjust a rack in the center. Cook the pasta in a large pot of boiling, salted water until it's al dente---just tender but still firm to bite. Set aside. 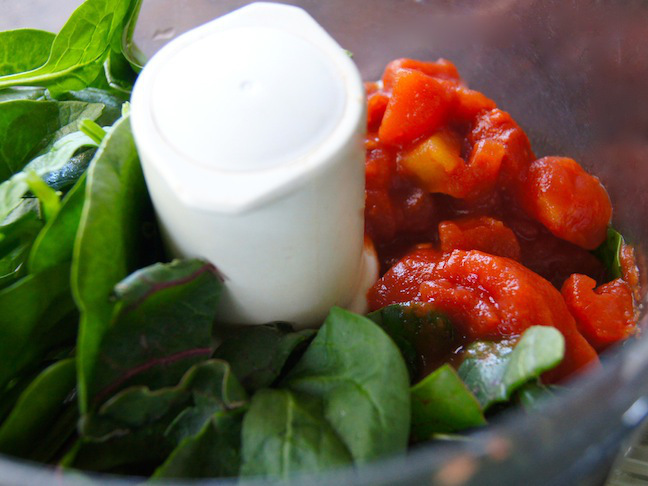 Step 2: Add the chard, spinach, tomatoes, garlic, and salt to a food processor fitted with the blade attachment. Step 3: Pulse until it's smooth. 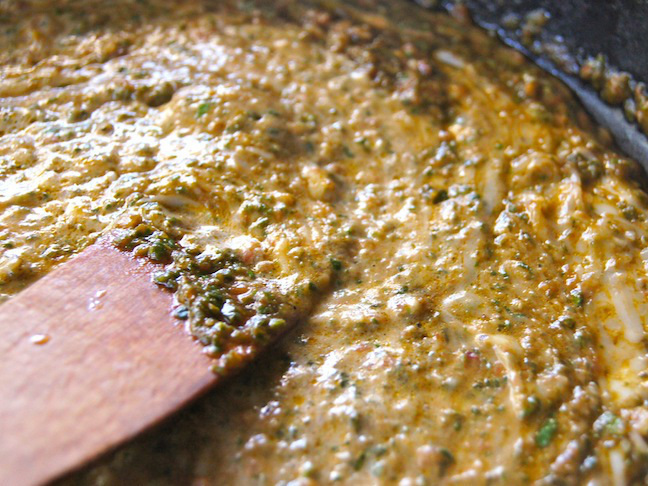 Step 4: Add 4 tablespoons of the olive oil to a large sauté pan and place it over medium-low heat. 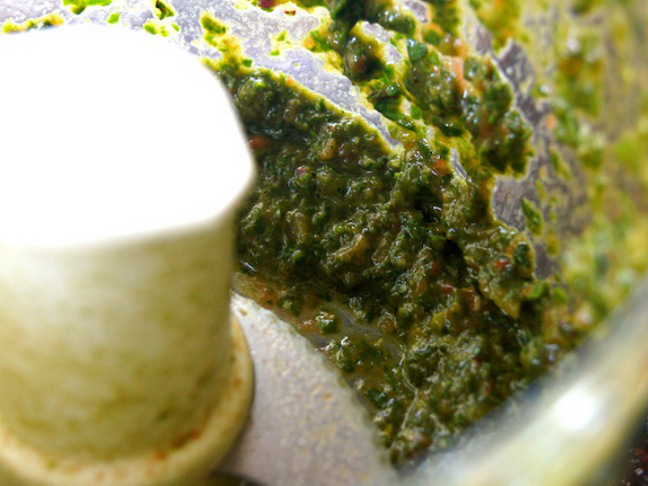 Add the spinach-chard mixture, stir, turn the heat to low, and simmer for 15 minutes. Then gradually mix in the cheese and cream. Step 5: Add the cooked pasta into the sauté pan and mix just until it's well incorporated. 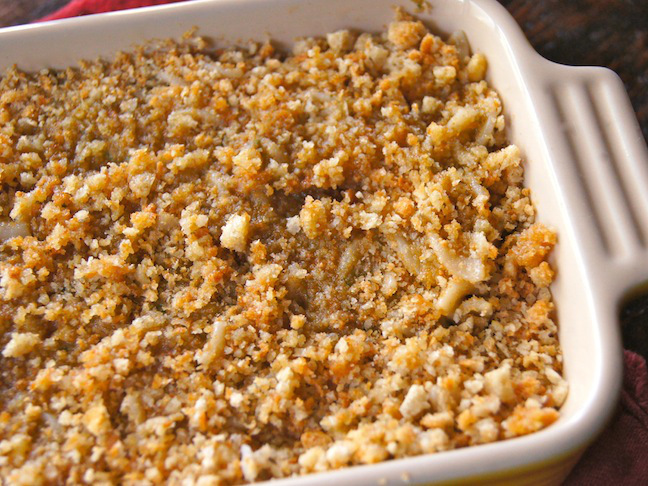 Step 7: Evenly distribute the breadcrumbs over the top and drizzle with the remaining 2 tablespoons of olive oil. Step 8: Bake in the preheated 375 degree F oven until it's sizzling along the edges and the top is golden brown, about 35 minutes.